Since many of you will be having guests during the holidays, I thought these hints might be helpful. These were taken from my book Given to Hospitality Church or Home. Being a good hostess does not require a formal education, but it is helpful to know a few basic tips. Some of the following tips I have learned by trial and error. Several years ago, my husband and I became stewards of a large home. After we moved in, I was so excited about having the room to entertain, I invited twelve pastors and their wives over for dinner. Since I had moved from a house that had one bathroom to a house that had five bathrooms, I did not bother to check the supplies in each bathroom. During the evening, a distinguished pastor sheepishly had to come to me to ask for toilet paper…number 1 rule…make sure all your bathrooms have plenty of toilet paper, hand soap, and air freshener. •	Supply feminine products to guests by putting them in a pretty box or bag and place on the back of toilet. •	Clean house before guests arrive. Don’t rush around cleaning the house while guests are there. •	Chill drinks and make extra ice. •	Arrange furniture to maximize seating for everyone. •	Make sure table is set before guests arrive. Overnight guests can sometimes feel uncomfortable being in an unfamiliar room. Try to make your guest room as comfortable as possible. 13. An index card with the code for wireless internet placed in desk drawer. •	Leave a welcome gift and note. •	Leave two Hershey kisses or Mint Patties on pillows. •	Have a basket of fresh fruit, two stemmed glasses, and two bottles of water. •	Keep a snack tray available in the kitchen. This tray could include microwave popcorn, oatmeal bars, and individual bags of peanuts, hot chocolate mixes, and herbal teas. •	If your guest room is large enough, keep a compact fridge and stock it with waters, sodas, juices, and other snack items. •	If your guests have to share a bathroom, you might keep large terrycloth bathrobes in the closet. •	Place a TV with a DVD player and inspirational DVDs in guest room. •	Place a stuffed animal on a child’s bed to make him feel more secure. When preparing for a guest bath, think about things that you might find in a nice hotel or an upscale Bed and Breakfast. You find nice plump towels, great toiletries, and fresh, clean smells. Consider keeping common medicines such as aspirin, anti-diarrhea pills, acid reducers, and a first-aid kit in your guest bath. Several years ago, my husband and I became stewards of a large home. After we moved in, I was so excited about having the room to entertain, I invited twelve pastors and their wives over for dinner. Since I had moved from a house that had one bathroom to a house that five bathrooms, I did not bother to check the supplies in each bathroom. During the evening, a distinguished pastor sheepishly had to come to me to ask for toilet paper…number 1 rule…make sure all your bathrooms have plenty of toilet paper, hand soap, and air freshener. Supply feminine products to guests by putting those items in a pretty box or bag and place on the back of toilet. Clean house before guests arrive. Do not rush around cleaning parts of house while guests are there. Chill drinks and make extra ice. Arrange furniture to maximize seating for everyone. Make sure table is set before guests arrive. An index card with the code for wireless internet placed in desk drawer. Leave a welcome gift and note. Leave two Hershey kisses or Mint Patties on pillows. Have a basket of fresh fruit, two stemmed glasses, and two bottles of water. Keep a snack tray available in the kitchen. This tray could include microwave popcorn, oatmeal bars, and individual bags of peanuts, hot chocolate mixes, and herbal teas. If your guest room is large enough, keep a compact fridge and stock it with waters, sodas, juices, and other snack items. If your guests have to share a bathroom, you might keep large terrycloth bathrobes in the closet. Place a TV with a DVD player and inspirational DVDs in guest room. Place a stuffed animal on a child’s bed to make him feel more secure. You might also consider keeping common medicines such as aspirin, anti-diarrheal pills, acid reducers, and a first-aid kit in your guest bath. When Planning a Banquet, Should I Plan a Sit-Down Dinner or a Buffet? The rule of thumb when planning a banquet is, if you are honoring someone, you usually plan a sit-down dinner. If it is more of a casual get together, plan a buffet. If possible, always opt to do a buffet. Sit-down dinners are more work and more expensive. • Get friends’ recommendations for good caters. Independent caterers are usually cheaper than large companies. Don’t be embarrassed to negotiate for price break or ask if they’ll throw in more appetizers for the same amount. 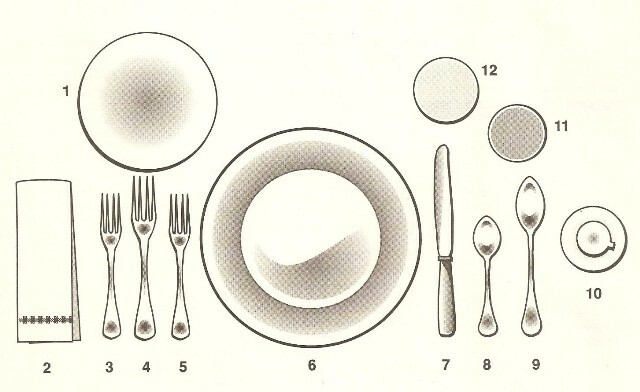 • Keep a laminated copy of proper placement of food for buffet settings on hand. • Before food arrives, label area where want your food placed. You can do this by putting a slip of paper where you want each dish placed. This also helps others know where to place the food. • Decide if you want to set up a for one or two-line buffet. For a one-line buffet, guests move around all four sides. 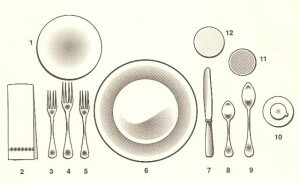 For a two-line buffet, set table with twin arrangements of plates, food, silver, and napkins on each side. • Use warming trays or crock pots to keep food hot. • Don’t serve everything on buffet table. Use a different area for appetizers and another area for coffee and desserts. • Make sure to leave space between dishes so that people can put their plates down to get food. • Use small frames to label items such as decaf coffee, various flavored coffees, and sugar free desserts. • Do not be afraid to use prepared foods when necessary; just display in a beautiful way. • If serving a bland food, serve a tart or spicy food to complement it. • Serve a soft food with a crisp one. Bread sticks are an example of a crisp food. • Use color in planning meals. If color is drab, consider garnishing with parsley, cherry, tomatoes, or beets. • Plan a variety of foods by considering flavors, textures, and temperatures. • If you use prepared foods, display them in a beautiful way. • Plan an entree, a vegetable, a fruit or vegetable dish, and a dessert and beverage. Entree -This is usually a meat dish. It could also be meatless pasta dish. Vegetable -Fresh or frozen vegetables are the best for color, texture, and flavor. Fruit or vegetable salad –This will also supply the color and flavor. Dessert– They can be elaborate or simple. • The best meals to cook for large crowds are spaghetti and meatballs, soups and salads, and casseroles. • Have everyone bring a dish and create big buffet. • More selections equal smaller portions. • Stick to easy recipes with simple ingredients. • Use 6 oz. protein per person meat selection. • Use 1 # 10 can of vegetables per 5 person. • Use 1 potato per person. • Use 1 head of lettuce per 5 people. • Use a 9×12 main dish to serve 10-12 people. • Add plenty of bread when feeding large groups. • If you are not using chafing dishes, choose foods that taste good at room temperature. • For an inexpensive meal, prepare 2 kinds of soups and 2 large salads. Add chips and cut-up veggies. • Do not serve tough meats if using plastic utensils. • Use 1 lb. coffee for 50 8 oz. servings (2-cups cream). • Use 1-cup tea leaves for 50 8 oz. servings. Is “Hospitality” a True Ministry? Although hospitality today seems to be a lost art and not considered to be a true ministry, the Bible still commands us to use hospitality and not to complain about doing it. The stresses of everyday living can be very demanding to God’s servants. We must lift up our eyes and see the needs of those hurting around us. We must look for opportunities to provide special times of relaxation for the discouraged and weary. Many times in this self-centered society, not only unsaved women, but also Christian women, make excuses for not opening their homes and exhibiting hospitality. Today very few people invite you to their homes for a meal or just fellowship. Maybe it is because of the fast paced lifestyle people live. People become so wrapped up in their own lives that they don’t seem to have the time to reach out to others. What are some of the excuses women use for not practicing hospitality? My home is not good enough.Through the years, it has not been the women who had gorgeous homes or who prepared lavish meals that made the greatest impact on me. It has been the women who genuinely loved the Lord and offered me simple gestures of friendship and love by offering me simple acts of hospitality. One of my fondest memories goes back many years ago when my husband and I were in Bible College. On weekends, we drove back and forth to Arkansas to minister in a small church. We stayed in the home of a widow woman named Mrs. Medlin. Although she lived on a small pension, she loved God’s servants and wanted to be a blessing to them. Many Sundays, our dinners consisted of only oxtail soup. Even though those were just simple meals, she made them seem like feasts. She willingly shared what she had with us. She did not try to impress us; she just wanted to make us feel special. It is just too expensive. Hospitality does not have to be costly. • Invite someone over for just soup and salad or just coffee and dessert. • Invite several couples for dinner. Ask one lady to bring a dessert, another to bring a vegetable, another to bring a potato casserole, and you provide the meat. It takes too much time and effort. Hospitality does not have to take a great deal of time and effort. We have time to do exactly what we want to do. We have time to shop, to watch our favorite television programs, to garden, to craft, or even to read good books. • Stick to meals that are easy. Make things the day before, such as lasagna, and then put it in the oven. • Forget complicated recipes! When you make a dinner for your family, make a double batch and stick the other one in the freezer. My house is just not clean enough. People are not coming to your home to inspect the dust bunnies under the bed or do the white glove on your furniture. Here are some simple tricks to practice to always have your home ready to minister. • Don’t go to bed at night until you have made sure your living room and bathroom are picked up. • Always put your dirty dishes in the dishwasher instead of the sink. 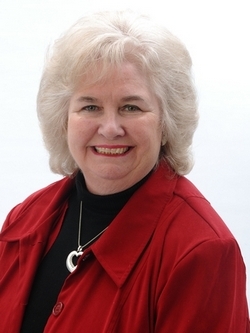 • If you have children, assign a various job to each child. • Keep a designated play area, other than the living room, for the children to play. If you do not set any personal goals or deadlines, it can rob you of your time and keep you from being productive. Decide on areas of your life where you want to be more productive and write out some goals. Keep your plan simple. Do not want waste valuable time updating charts. Set a deadline to reach your desired goal. De-junk! Give away clothes you do not wear, broken toys, and kitchen gadgets you do not need. If you have limited space for storage, rent videos and books instead of purchasing them. Keep a file drawer or box in the kitchen with each person’s name on a different colored folder. Put coloring papers, notes from school, and future homework assignments in assigned folder. If possible, do all house chores in the morning. Do quick bathroom wipe-down of tub, shower, toilet, sinks, and faucets with disposable cleaning wipes. When preparing meals, fill sink with soapy water and wash preparatory dishes before sitting down to eat. Immediately do dishes or place them in dishwasher. If you have small children, keep a basket handy to pick up small items such as small toys, clothing, and clutter. When picking up the house in the mornings, give yourself a deadline. Pick up the rooms that visitors will see first. GOOD RULE TO FOLLOW: LEAVE YOUR HOUSE AS IF YOU ARE EXPECTING GUESTS! A few years ago, a group of seniors from our Christian school invited us to join them for dinner at a nice restaurant. They had hired a limousine for the evening. After they had eaten, they had a few hours to spare. Since they wanted to stay together, I invited them to our home. If I had said, “Oh, my house is not clean enough,” those teens would have missed out on having a fun time together and making a great memory.